Good morning. It's Friday, July 13. • Facebook defends conspiracy peddlers on its platform. • Stockton experiments with cash giveaways to the poor. • And the ridiculous wealth of cosmetics tycoon Kylie Jenner. 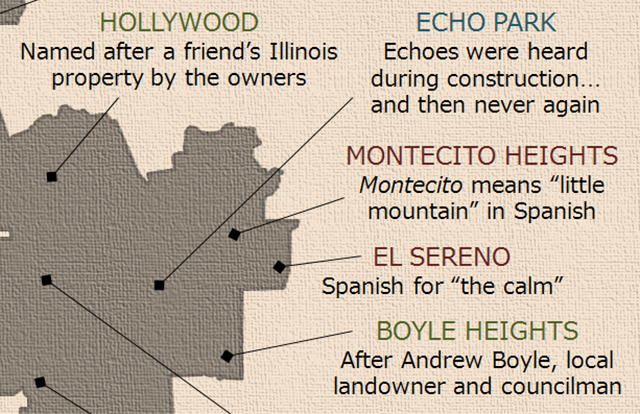 A detail from Adam Aleksic's infographic on Los Angeles place names. 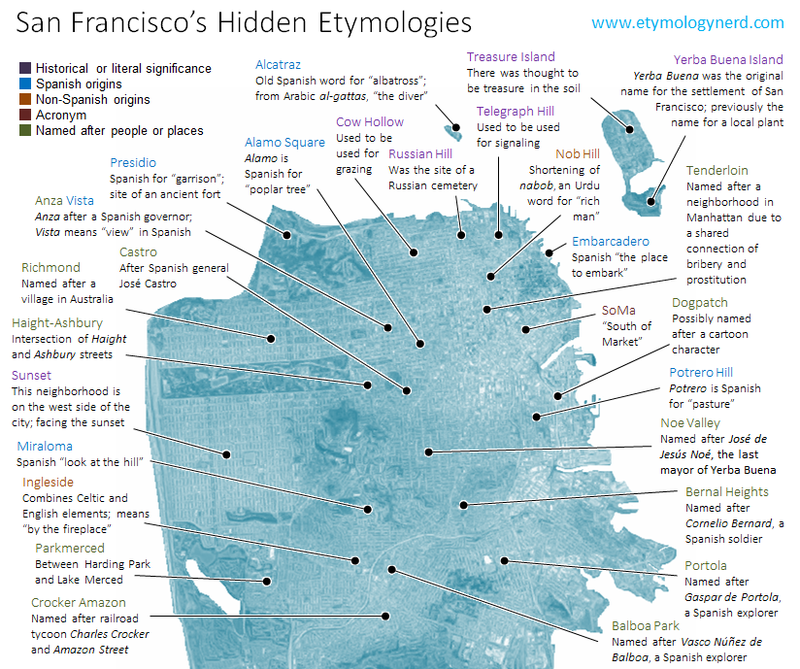 The name of San Francisco's Nob Hill derives from an Urdu word for "rich man." The Richmond District was named after a village in Australia. In Los Angeles, Tujunga is Tongvan for "old woman's place." And Tarzana was literally named after Tarzan. 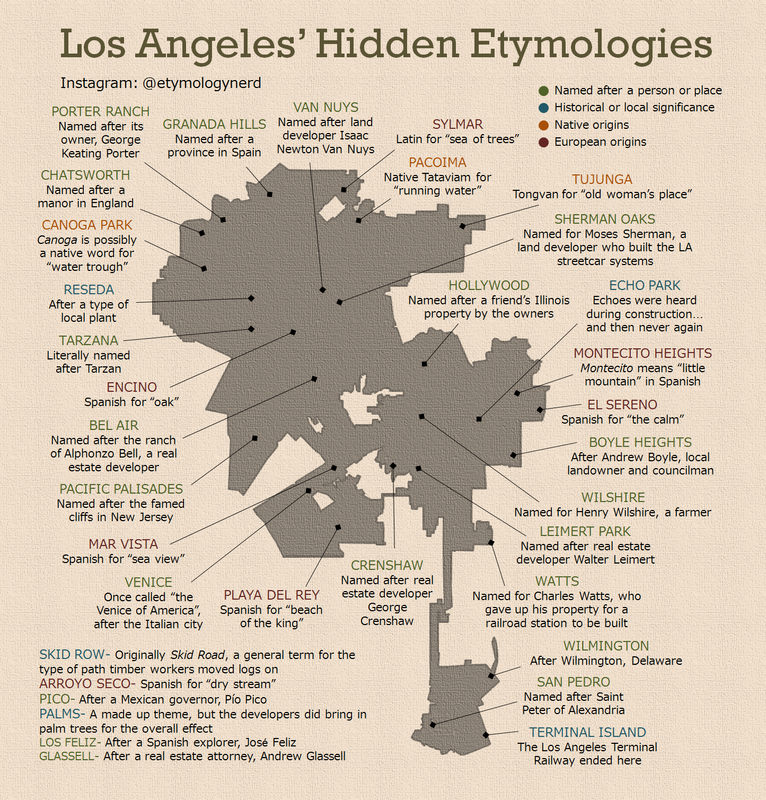 Adam Aleksic, a high school senior from Albany, N.Y., created infographics on the etymologies of place names in San Francisco and Los Angeles. See his map of San Francisco, and Los Angeles. And see more of Aleksic's work at his website and on Instagram. 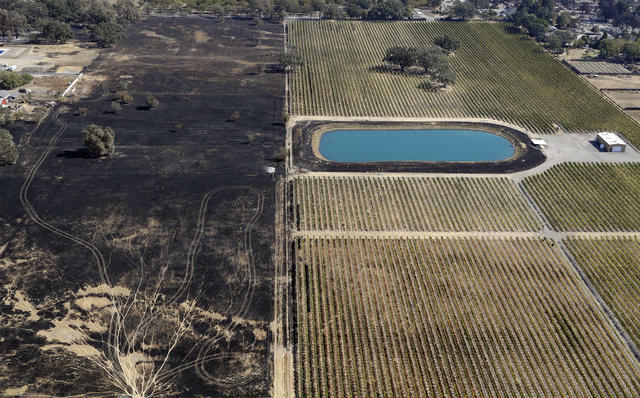 Fire damage next to a vineyard in Santa Rosa last October. “There are so many potential winners and losers depending on what decisions are made.” Powerful interest groups are gearing up for a battle over who should pay the enormous costs associated with California's wildfires. A new bill would let PG&E make customers shoulder the damages from the 2017 Northern California wildfires. Critics are calling it a bailout. In 2004, California voters wagered $3 billion on the healing potential of stem cell research. Supporters talked about the potential to cure afflictions such as Alzheimer’s, diabetes, and cancer. The S.F. Chronicle this week debuted a four-part series that explores what has transpired. First up: The mother of a boy who has autism and suffers seizures turned to stem cell therapy in hopes of a miracle. Rep. Kevin McCarthy on Capitol Hill last month. 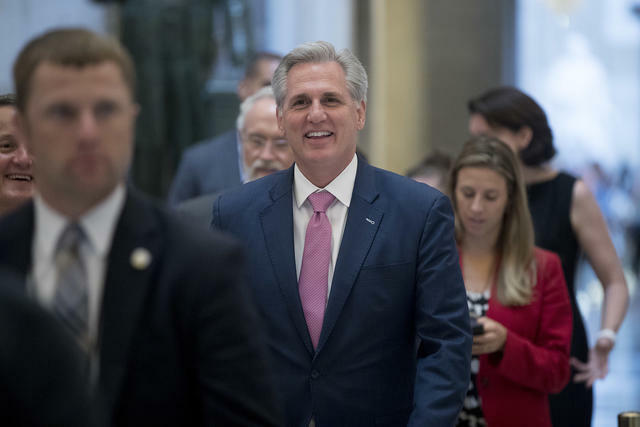 In public, House Majority Leader Kevin McCarthy says he's not campaigning to succeed Paul Ryan as speaker. But the Bakersfield Republican has been quietly lining up votes of support from key lawmakers. If McCarthy moves up and Nancy Pelosi retains her role as minority leader, they would be the first pair from the same state to serve concurrently as speaker and minority leader. "Every lab is backlogged." Starting July 1, California required that all marijuana sold in the state undergo rigorous testing. That meant all of the old, untested stash got tossed in the trash. But there aren't nearly enough laboratories licensed to test the new stuff. As a result, retailers have seen their product variety shrink as much as 90 percent. Bankrupt just three years ago, Stockton now has plans to deliver $500 checks to low-income residents, cash stipends for men most likely to commit violent crimes, and $1,000 college scholarships for high school graduates. The programs are funded by private donations, giving Stockton's young mayor — 27-year-old Michael Tubbs — a chance to experiment with money the city doesn't have. The Hart family. From left are 14-year-old Hannah, 12-year-old Abigail, 10-year-old Ciera, 12-year-old Jeremiah, Jennifer Hart, 13-year-old Devonte, 17-year-old Markis, and Sarah Hart. Tristan Fortsch/KATU News, via A.P. "Abuse, neglect, and a system that failed." 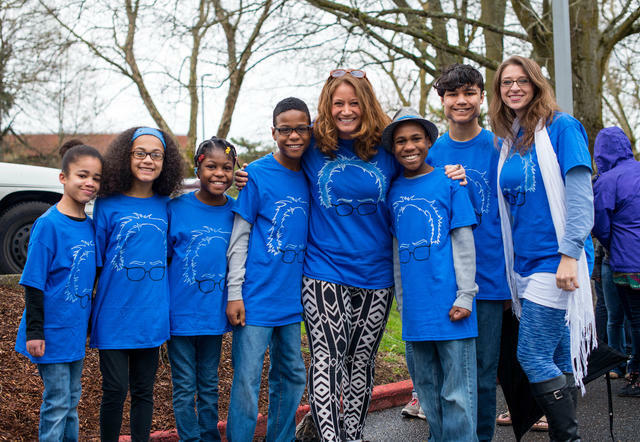 The Washington Post published a devastating account of the family that was driven off a Mendocino cliff by their adoptive mother. A local sheriff called the act intentional. It turns out the warning signs were abundant. The six children had spent years reaching out to teachers, law enforcement, and neighbors about physical harm and food deprivation. Facebook was pressed to explain why the conspiracy-peddling site InfoWars was allowed to maintain a page on its platform, given the company's pledge to combat false news. The company's response: "We see Pages on both the left and the right pumping out what they consider opinion or analysis – but others call fake news. We believe banning these Pages would be contrary to the basic principles of free speech." The latest adaptation to high-cost San Francisco comes from a company called Spacious. It converts restaurants into co-working spaces before dinnertime. Bars become standing desks. Booths become conference rooms. Membership is $99 a year. Spacious thought it would have to sell restaurateurs on the idea. But high rents have made them eager to strike deals. 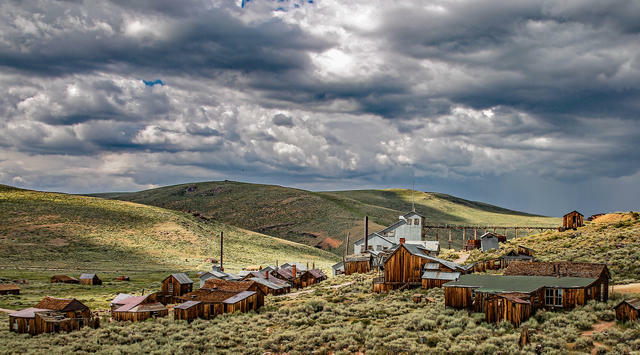 Bodie, in Mono County, is seemingly frozen in time. "I thought it was all a joke but it wasn't at all. Things are happening that are very hard to explain." According to the lore, people who remove anything from a ghost town in the Eastern Sierra — even a rock — will be cursed. Every month, Bodie State Historic Park receives letters from remorseful visitors who confess to taking something and swear the legend is true. The 2018 Emmy nominations were unveiled, and for the first time in 18 years HBO failed to secure the largest tally. Netflix scored 112 nominations to HBO's 108. The shift can be explained in part by spending. Netflix pumps out shows at a dizzying pace. It will spend up to $8 billion on content this year, compared with HBO’s $2.5 billion. Kylie Jenner is the youngest member of the "Kardashian-Jenner industrial complex." 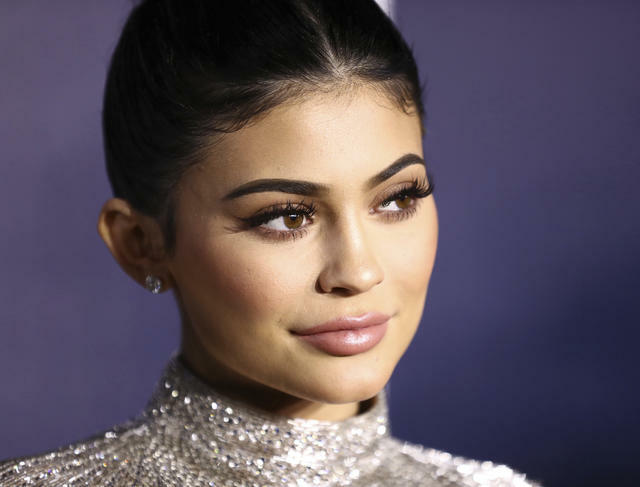 Kylie Jenner, 20, has leveraged her massive social media following to build a $900 million cosmetics fortune in less than three years. "Another year of growth," Forbes wrote, "will make her the youngest self-made billionaire ever, male or female, trumping Mark Zuckerberg, who became a billionaire at age 23." There's a Turkish bath on a lower level. 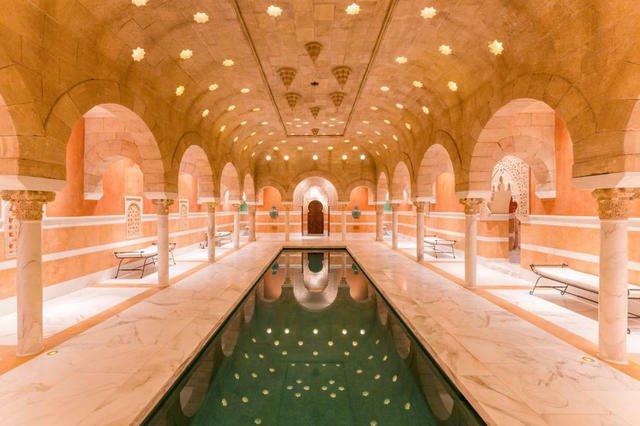 A tycoon is auctioning a 51,000-square-foot, underground mansion in Los Angeles. John Blazevich, who made his money as an importer, wanted a giant house, but zoning rules restricted how big he could build. So contractors dug an additional five floors into the bedrock. It took more than a decade. Blazevich listed the property five years ago for $53 million and it never sold. Now he's run out of patience. A jacaranda tree in West Hollywood. 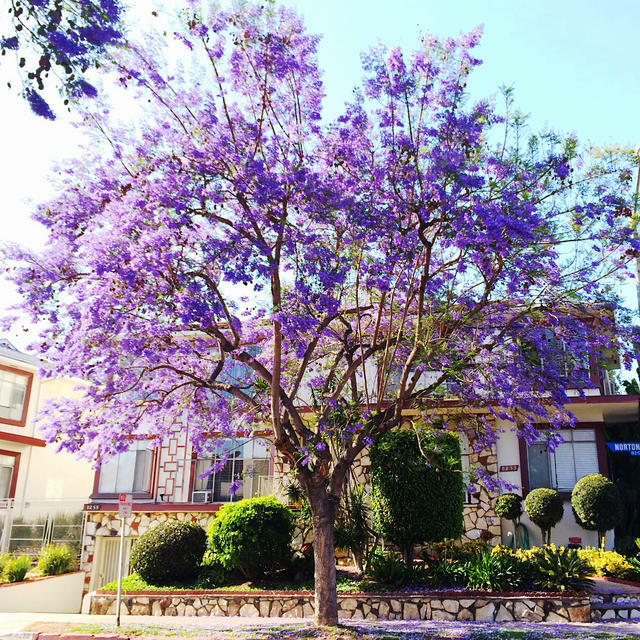 During jacaranda season, Los Angeles seems to burst with vibrant purple and blue. The trees, however, are not native to California. They were popularized by Kate Sessions, the pioneering horticulturist who helped transform San Diego into a lush environment. Among her imports were jacarandas which were planted extensively in Los Angeles and Santa Barbara. 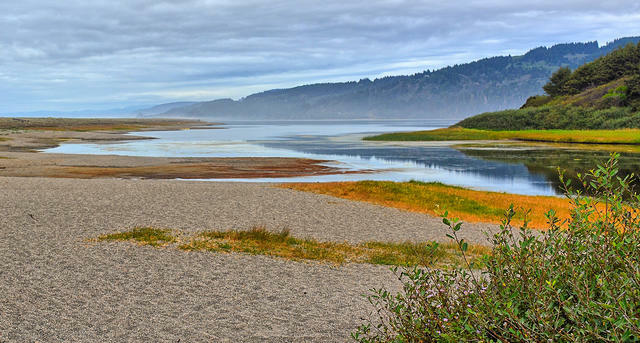 The coastal Humboldt Lagoons offer wilderness-style camping. 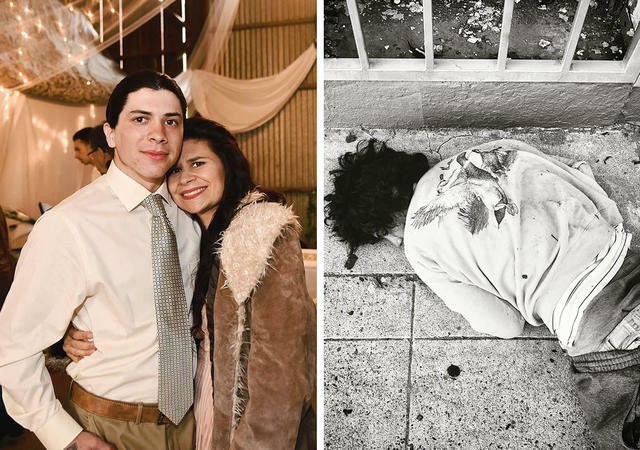 Michael Garcia, left, with his mother Michelle Garcia, and later after falling prey to addiction.